Ok, let’s go step by step. We have compiled the most typical questions we receive by pilgrims, at the beginning of their booking process. 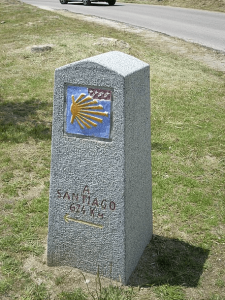 If you just thought you would like to join a walking or cycling tour on the Camino de Santiago, these brief explanations can help you to clear up your mind and organize your ideas. 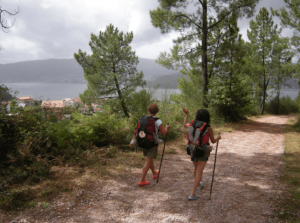 Please note that this section is focused on questions related to the booking process of a tour on the Camino de Santiago. 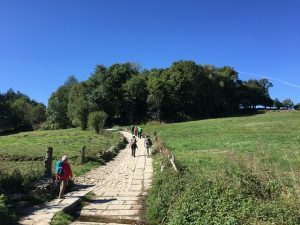 If you are looking for information about general aspects of the walk, we have other post that could be of interest: what route to choose, what to pack for the Camino, or Weather on the Camino. –Single room: a single room is for one person. Most of the times, there are no single rooms in Spain. As such, we book a double room for single use. Single rooms always have a supplement in price (using a room for two, means sharing the costs, and the final price is more economic). –Twin room: a twin room is a double room, with two separate beds. If you are traveling with a friend, a colleague, a member of your family… and don’t want to share a bed, you will need to request a twin room. –Double rooms: a double room involves one room with a double bed. Most of the double rooms in Spain are actually twin rooms, with two beds put together. But still, there are double beds available in some cases (very few compared to the “twin rooms”). Room allocation usually works on first come first served basis. –Triple rooms: most of the times, triple rooms include three single beds. And the third bed, is usually a portable. But in some cases other room distributions are possible, for example: one double bed, and one single. If you are doing the Camino with small kids, it is possible to request a cot. –Dorm: this means shared rooms and bathrooms. Those pilgrims who choose to stay in “Albergues” or hostels, will sleep in a dorm. In this case, we are booking a bed, not a room. –First day: according to the itineraries we typically organize, the first day you are not walking or cycling. For example, if you booked a tour over the last 100 km of the French Way, from Sarria to Santiago, the first day you will arrive in Sarria, check in, and sleep. The walk will start on Day 2. –Last day: there are “two last days” to consider. The first one is the last walking day. The second one, is the last day of the tour. So, basically, the last night (usually in Santiago if you decide to finish in Santiago) is included as a standard. 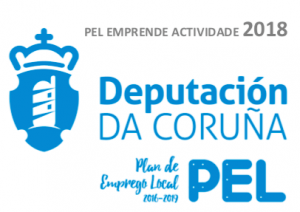 If you are walking, for example, the Portuguese Way, your last walking day will be from Padrón to Santiago de Compostela. You will sleep in Santiago de Compostela, and check out (last day with us) will be the day after. This is a very general description, since a lot of pilgrims decide to stay a couple of extra nights in Santiago. Our Camino de Santiago tours usually include half board. What does it mean? –Half Board: this means that breakfast and dinner are included. You may see it as “HB” or “MP” (Media Pensión, in Spanish). Half Board is usually included during the walk, but not on the main stops (since there are many restaurants around, and pilgrims usually enjoy to experience them). For example, dinner is not usually included in the main towns, such as Burgos, León, Ponferrada, Sarria, or Santiago de Compostela. there are different aspects involved: speed, if you want to stop a take pictures, chat to other pilgrims, etc. For this reason, most of the pilgrims stop and have lunch during the walk. For big groups, we can include a picnic. –Breakfast only: if you don’t want to include dinners, that is no problem at all, we can remove them. We can’t remove breakfast, since this is included most of the times as a standard, at no extra cost. –Accommodation only: if you have chosen to stay in “Albergues”, breakfast will not be included either (most of the “Albergues” do not provide it, pilgrims bring and cook their own food). We hope you found this information useful. We will keep working on these topics that you usually ask us about by e-mail, to try to solve all your concerns. Do you have any other questions about booking a Camino de Santiago tour? Please do not hesitate to contact us. We will get back to you in less than 24 hours! We are interested in a tour for 2019 twin room and half board. Do we have to book airline ticket ourselves? How do we go along with the booking process. We have just sent you e-mail answering your questions.